VIA Nano X2 Dual-Core 40 nanometer, the green CPU ! VIA Technologies, Inc, today announced its latest VIA Nano X2 processor for mainstream PC markets. Based on a 40 nanometer fabrication process, the VIA Nano X2 delivers better computational performance and improved multi-tasking ability without consuming more power. 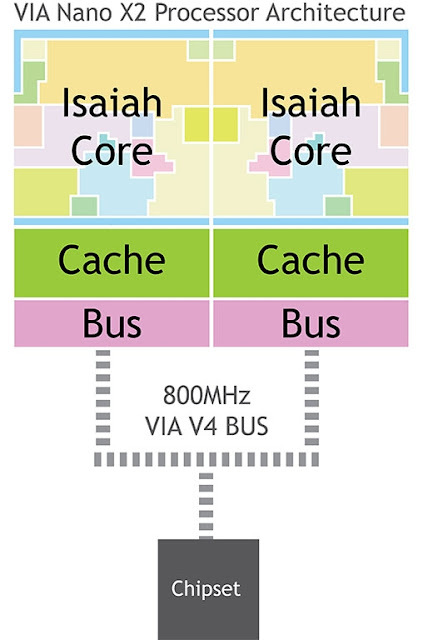 "The VIA Nano X2 processor arrives at a time when software architectures are now optimized to for multi-thread computing," commented Richard Brown, VP International Marketing, VIA Technologies, Inc. "Improvements in semi-conductor fabrication means we can now double the number of processor cores while maintaining the same low energy consumption levels that our customers are used to." VIA Nano X2 processors are built using the advanced 64-bit, superscalar 'Isaiah' architecture that powers previous single-core VIA Nano processors, adopted worldwide for a growing number of market-leading mini-note, small form factor desktop, and energy-efficient server designs. Featuring two out-of-order x86 cores, VIA Nano X2 processors deliver up to double the performance on multi-thread optimized applications and also come with SSE4, native 64-bit support, VT CPU virtualization technology, and VIA PadLock hardware security features. VIA Nano X2 processors are also pin-to-pin compatible with previous VIA Nano, VIA C7, VIA C7-M and VIA Eden processors, facilitating easy upgrades of existing designs. VIA Nano X2 processors are also compatible with all VIA media system processors and digital media chipsets including the latest VIA VX900 and VIA VN1000. 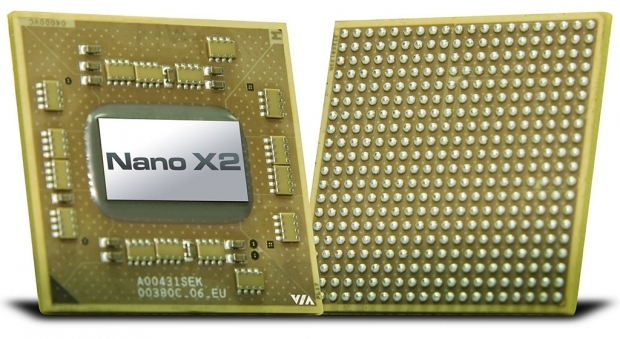 VIA Nano X2 processors samples are currently available for OEMs and motherboard vendors, with systems featuring the processors expected to arrive this Q1 2011.